For the fashion apparel industry, the competition is very intense, and every day there will be new brands and countless new styles. Because clothes can best reflect the personality and temperament of different people, many people will only choose what they like and suit their own clothes. However, the style of the shirt is very many. The t shirt brand how to can stand out among many brands and styles, it is very challenging for the clothing brand. As a general practice, we will promote our clothes in various fashion magazines and fashion shows. This approach is worthy of recognition, but the cost is high. We can use the Internet platform to share creative shirts with major websites and social media, so that people can automatically share the styles and pictures of shirts in order to promote sales. This is a very good way, but only these are not enough, we need to design a delicate t shirt tube packaging to match, more able to highlight the value of the shirt. When we buy a T shirt, the retailer or wholesaler will handsel us a packaging or a tote bag, but without brand information and special packaging design, the experience of the brand is very poor. Or we found that even though some of the shirts have exclusive product packaging, they are not attractive enough. If do you think product packaging design is not important, this is a very big mistake. 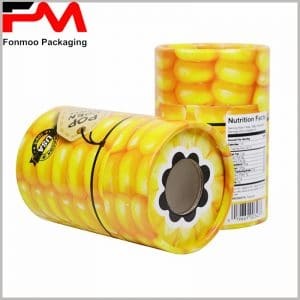 Product packaging is often used as a label for products and brands, and is of great significance to the brand image. A creative shirt with LOGO can enhance the brand’s exposure and popularity in a short period of time, and will encourage consumers to recognize the brand’s design capabilities. At all times, don’t overlook the importance of custom t-shirt packaging. Brown kraft paper tube shirt packaging, packaging design content is mainly brand, the main highlight is the value of the brand. But when consumers see patterns, it’s easy to know that this is a men’s shirt and tie gift box set. Men’s underwear packaging, the scene of the muscle man wearing underwear as the main design of the packaging design, is attractive to men. You can utilize the celebrity endorsements that men like and print them on men’s underwear packaging to increase sales. Women’s jeans packaging, also used in the Excellent of a female figure wearing jeans as a packaging design, the temptation for women who love beauty is great. If you are a well-known fashion clothing brand, you can make the packaging design simpler. Purple as the background color of the package, coated with light glue, increases the brightness of the package. The brand’s LOGO is printed in hot silver and tells the consumer the style of the clothes in the package. For famous brands, this packaging design is one of the best choices. Open your brain and apply more creativity to your packaging design to increase your brand’s reputation. If you have a better idea, please let us know. If you need a custom product package, let us know that we can product the best products packaging for you.